A core question that needs to be addressed in this book is the question of proof: does a good diagram prove a principle or truth of economics? Blaug and Lloyd address this question directly. “The use of figures and diagrams as a vehicle of proof has a chequered history. Mathematicians have always warned of the danger of proving propositions by geometry” (6). The problem, they observe, is that a diagram consists of curves of a particular shape; and there is always the possibility that the result obtains as a consequence of particular and non-generalizable features of the specific curves that are chosen. The authors illustrate this possibility with the law of diminishing returns. “One statement of the Law, the textbook by Stonier and Hague [London: Longmans, 1957] – which was widely used in the UK and elsewhere at that time – contended that the Law of (everywhere) Diminishing (marginal) Returns holds if the production function is linearly homogeneous. The proof is geometric. But it is false. They had drawn their isoquants as strictly concave from above … and with positive marginal products, without realizing that linear homogeneity plus these assumptions suffice but linear homogeneity alone does not” (6). The authors’ suggestion, then, is that the geometrical features of economics diagrams are an unreliable foundation for proving an economics proposition; rather, a formal mathematical derivation with clearly specified axioms and principles is preferable. The diagram serves to illustrate the point; the mathematical proof establishes the point. “Thus algebra has advantages of being more general and more precise” (8). The authors draw attention to the interesting fact that many of these foundational diagrams were “discovered” multiple times by independent researchers. Following the sociologist of science Robert Merton (The Sociology of Science: Theoretical and Empirical Investigations ), they argue that multiple discovery is a very common feature in the history of the sciences (14). 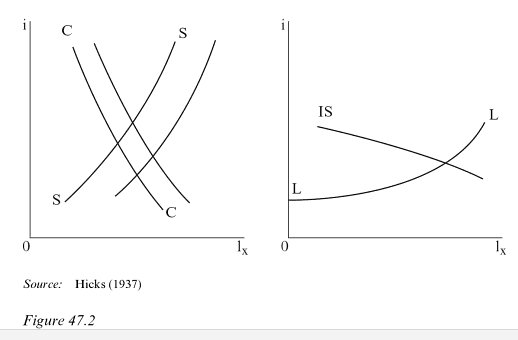 They note a number of diagrams in the current volume that have appeared multiple times in the development of economics: “the Slutsky equation, the kinked oligopoly demand curve and monopolistic and imperfect competition” (14). The fact of multiple discovery suggests that some ideas are floating around within the community of researchers before they find expression in writing — much as natural selection was in the air for scientists like Darwin and Wallace to incorporate into their pathbreaking books on evolution in the mid-nineteenth century. It is worth considering several diagrams in particular here. 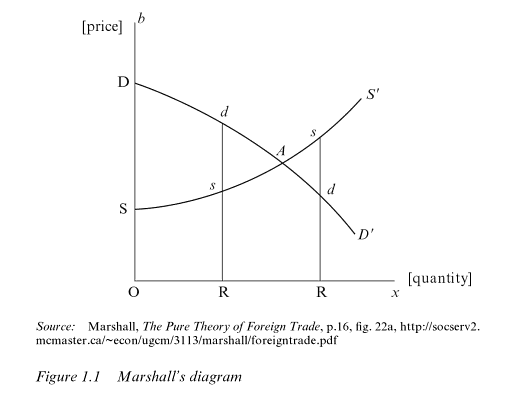 In his article on “Marshallian cross diagrams” Thomas M. Humphrey describes the history and logic of what is arguably the most fundamental of economic diagrams in neoclassical economics, the intersecting curves of supply and demand by price. “The diagram achieves much with little. It illustrates how parametric shifts in its two curves caused by changes in tastes, incomes, technology, factor prices and prices of related goods operate to alter a good’s equilibrium price and quantity…. For all its simplicity, it is a powerful and flexible tool” (29). Humphrey notes that the diagram did not originate with Marshall. Instead, Cournot was the first to represent a supply-price diagram for a single good in 1838. Humphrey notes further that a German economist, Hans von Mangoldt, introduced formally similar diagrams into his economics work in 1863, evidently without influence from Cournot. All told, he finds five figures in the history of economic thought who made use of this schema, almost always without influence from one to the other. “Had [Marshall] never published, later economists probably would have discovered the work of his predecessors or invented the diagram themselves” (36). 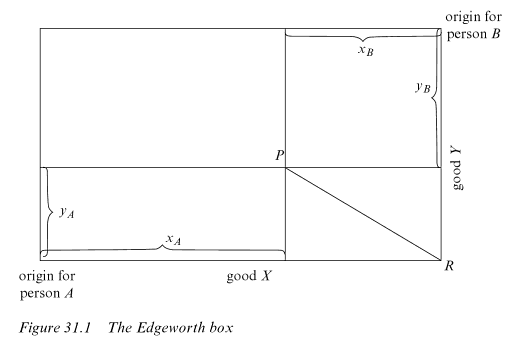 Now consider a fundamental diagram in macroeconomics, the IS-LM diagram deriving from John Hicks’ work in 1936 and 1937. The diagram (or series of diagrams) serves as an important step in the effort to make rigorous economic sense of Keynes’s theory of money and capital. Warren Young provides an article on this topic (348). This diagram is often regarded as a crucial contribution to the assessment and interpretation of Keynesian economics. The diagram is designed to analyze the relationship between capital investment, savings, liquidity, and the interest rate. Young’s article is more developmental than most contributions to the volume, in that he attempts to track the development of Hicks’ concept through several important stages in 1936 and 1937. Alvin Hansen built on Hicks’ 1937 IS-LL diagram by introducing the IS-LM diagram in 1949. Hansen also introduced consumption into the representation. Young concludes that “the plasticity of the approach and its extension into augmented forms has enabled the diagram to become the basis for more sophisticated diagrammatic approaches such as AS-AD, which even include endogenous (rational) expectations, thus making the approach more acceptable to those of non-Keynesian predilection” (354). It is also interesting to consider whether the use of diagrams and figures is as intellectually and theoretically important in other areas of the sciences. There are iconic diagrams in physics, biology, and psychology; but it does not appear that these devices played as important a role in those areas of the sciences as they have done in economics. And it is plain that diagrams and figures do not play anything like this role in other areas of the social sciences, including political science and sociology.